Getting in trouble and getting punished is a natural part of adolescence. But for some teens the punishment is worse than the crime, executed not by a stern parent but by a county judge who leaves them defenseless. According to a new analysis of youth in court systems, criminal-defense lawyers for young people in many communities are substandard, prohibitively costly, or just completely unavailable. Every day, kids who haven’t even grasped algebra are left to navigate on their own a system that confounds even the most skilled attorneys. The concept of indigent defense is, theoretically, supposed to ensure that those too poor to afford a lawyer in a criminal trial are assigned a public defender. But young people charged as juvenile offenders, despite being among the most vulnerable in the legal system, are denied a court-provided lawyer because of overly strict rules governing access to public justice services. One of the main reasons kids fall through cracks is because being young is not the same as being without financial means, in the eyes of the court. The National Juvenile Defense Center’s (NJDC) analysis reveals that “Only 11 states provide every child accused of an offense with a lawyer, regardless of financial status.” Sometimes youth defendants’ families exceed the standard poverty threshold, but parents still cannot afford—or they may refuse—to pay for a private lawyer. So families are forced to pay a devastating financial and social cost just for the exercise of basic constitutional rights, or kids face prosecution alone. When Dominique, a young teen in Tennessee, was charged with misdemeanors after a night of drinking and vandalism, the court determined that her family could afford a lawyer privately. But her father was too poor to front the money and she remained in custody. Though the traumatic ordeal could have been avoided altogether with a more realistic financial assessment, Dominique was still punished for a night of mischief with a week behind bars. NJDC has urged reforms to make financial evaluations for youth defendants fairer and more transparent, both to protect families from unnecessary economic burdens and ensure youth are not needlessly incarcerated, often well before the judge even hears their case. Mishi Faruqee, national field director of Youth First, says the denial of due process reflects judges’ inability to see juveniles as individuals, instead of viewing them as social liabilities, to be either disciplined or banished. Often the presumption of guilt begins before any court date is set, the moment they’re handcuffed. 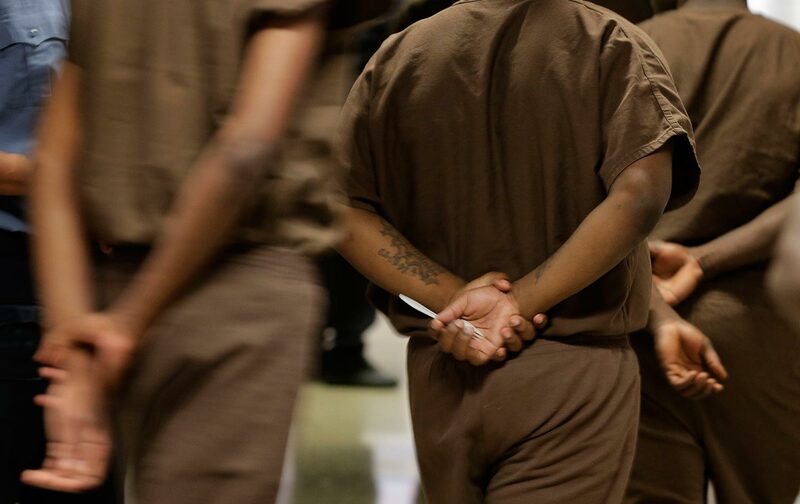 The NJDC found that, nationwide, “no state guarantees lawyers for every child during interrogation,” though Illinois recently passed legislation ensuring legal counsel for children under 15 charged with serious offenses. With such weak legal protections, a middle-schooler could leave home in the morning and within a day get detained by school security officers and bullied into confessing by police, without ever consulting with a lawyer or seeing her parents. Without a lawyer, children in many states can be manipulated into signing away Fifth Amendment rights they never knew they had. The analysis found that 43 states allow children to waive their right to counsel without consulting a lawyer first. Children and families might agree to forgo their rights if they are confused or intimidated about the legal process, or a poor parent may be so fearful of getting bankrupted by the impending legal process that they just pressure a child to plead guilty to avoid jail altogether. Instead, Anthony gave up, provided a false confession, and wound up facing up to 45 years in prison. When the indigent-defense system is corrupted, money is often the only way out, and indeed, sometimes children aren’t even given the choice of paying for their legal counsel. A court-appointed lawyer in 36 states might cost a child a fee, which states justify as administrative or processing costs, typically ranging from $10 to $100. Some courts may charge per hour for counsel that should be publicly financed. Lawyers are sometimes “priced” based on the severity of the youth’s charges—essentially exacting punishment before the trial begins. False confessions, unaffordable legal representation, police violence—all are legacies of the War on Drugs and of zero-tolerance policing practices inflicted on the last generation’s teenagers. But even today, as courts and policymakers are finally starting to undertake due-process- and rights-based reforms to address barriers to legal representation, the kids who are most in need of equal justice and most vulnerable to social abuse remain silenced. When the same courts expect those kids to be “held accountable” for their actions, who really deserves the blame for putting them behind bars?